Hockey novels in Canada have emerged and thrived as a popular fiction genre, building on the mythology of Canadian hockey as a rough, testosterone-fuelled bastion of masculinity. However, recent decades have also been a period of uncertainty and change for the game, where players and teams have been exported to the US and traditional gender assumptions in hockey have increasingly been questioned. In Refereeing Identity, Michael Buma examines the ways in which the hockey novel genre attempts to reassure readers that "threatened" traditional Canadian and masculine identities still thrive on the ice. In a period of perceived crisis and flux, hockey novels offer readers the comforting familiarity of earlier times when the game was synonymous with Canada and men were defined by their physical strength. 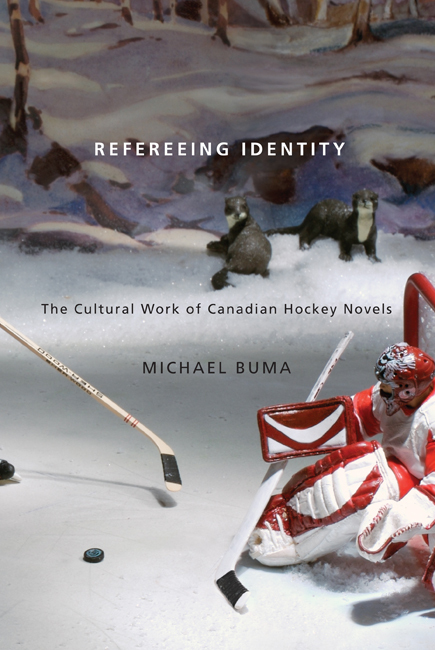 Refereeing Identity is a timely and incisive account of how the game is represented - and misrepresented - in Canadian society.